Fishing for big Pike on Lough Derravaragh is a real adventure where something special can happen at any moment when your lure is working the water. You have a sense of freedom, a sense of escape……….. and all those hard fighting pike swimming beneath Derravaragh’s crystal waters. Lough Derravaragh is a mystical lake, home to the fabled Children of Lir. It is set amidst the rolling north Westmeath countryside beside the village of Crookedwood. The surrounding landscape features two remnant glacier valleys which are framed by a natural amphitheatre formed by three hills along its southern shores. The imposing Knockeyon at 214m on the south east, Knockbody in the center and Knockross on the south west shore make for a spectacular backdrop to Derravaragh. Derravaragh is an exceedingly rich limestone lake, fed by the River Inny at its northern end and by countless springs up-welling across the southern basin. This is pike-perfect habitat supporting an abundance of Roach, Bream, Hybrids, Perch, Tench, Rudd, Brown Trout and Eels. These fodder fish are available throughout the pike’s growing season, ensuring rapid growth and weight gain for the upper mode pike in each year class, enabling individual fish to reach outsize proportions in 7-9 years. Derravaragh is justly renowned as a prolific producer of pike of 9kgs+ (103cms+). Recently, two mammoth pike of 15kgs+ (126cms and 120cms) were caught and released by visiting anglers the same day. Due to the excellent water clarity, Derravaragh is suited to all methods of lure fishing, including: jerkbaits, swimbaits, spinnerbaits & bucktails, spoons, topwater (when conditions are favourable) and all manner of plastics. 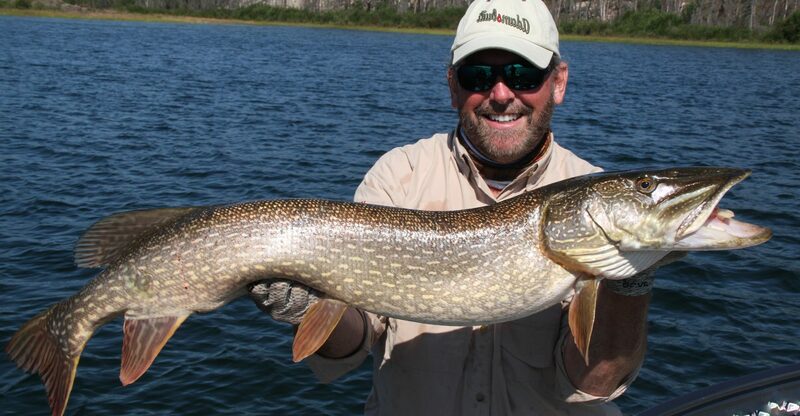 Trolling lures or deadbaits and indeed fly fishing with big streamers or Bunny Bugs on 9 & 10 weight rods account for some exceptional pike each season.